In the fall I was able to go on a field trip with some 8th graders to Commerce. I was so excited to see 'my lion'. But it was gone, the Victory Bell is in it's place. You can see where it used to be. 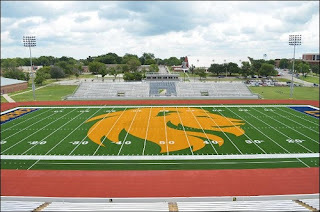 Seriously, if you know where the Class of 29 lion is, let me know. 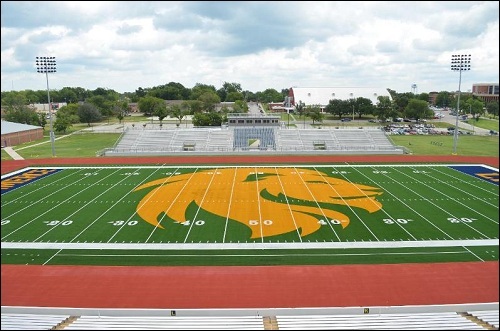 I also love TAMUC's football field - it has a gigantic lion on it. 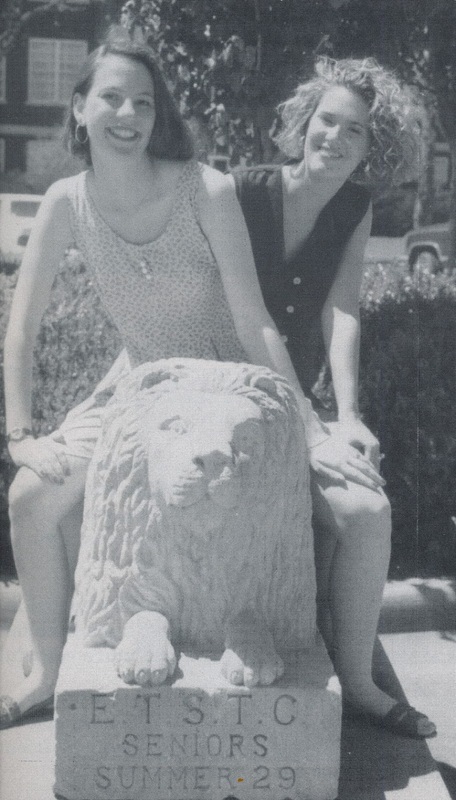 At the You Are conference, the lion took on a new meaning for me. I began to really see God as a lion. A lion who protects my family. A lion who is fighting for me. He is making a way for me! It is so comforting. At You Are, I was struggling with trusting God with my boys. I was feeling like I had to do everything for them. I had forgotten that God loves them even more that I do. He is protecting my boys and making a way for them. What a relief!